Adding your Pinterest to the platform is simple and this article will help walk you through this process step by step. Please note that we are currently not activating Pinterest Campaigns, but do we use Pinterest for social shares. 2. Find the Pinterest drop-down and hit the arrow to the right to add your Pinterest account. Click on Add a Pinterest Account. 3. A pop-up window will appear. 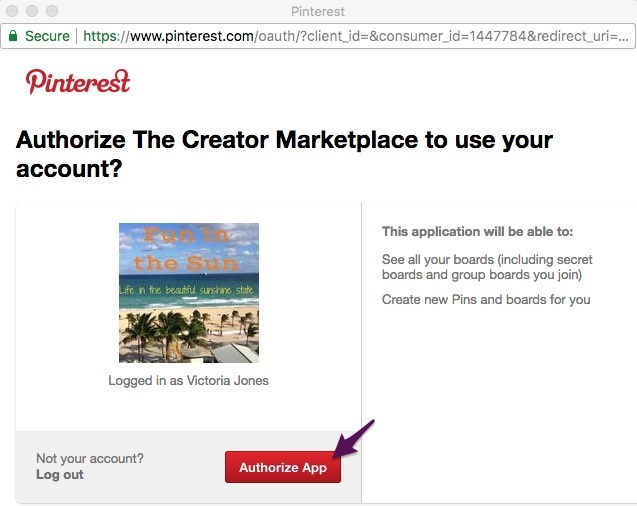 Enter your Pinterest username and then hit Authorize App. *Please make sure that you are already logged into your Pinterest account before completing this step. 4. 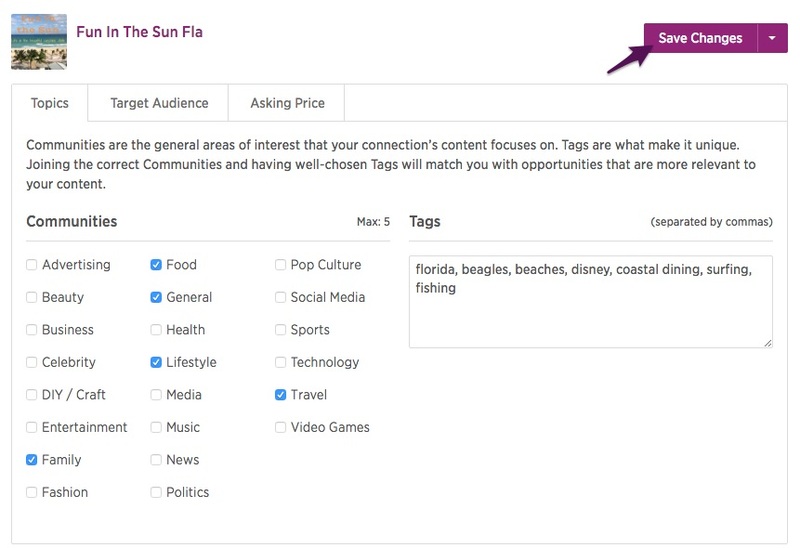 Now that your Pinterest has been successfully connected, will want to make sure to fill out all of your Communities and Tags once your account is connected. Once you are finished hit Save Changes.